Spectrum Confections will bring us Jelly Belly beans with a twist. Studies regarding CBD have advanced remarkably in the last few years and now, the stigma behind it is getting lower and lower. You're now able to find CBD products in most shopping malls with oils, tinctures, ingestibles and more being offered on a more widespread basis. Although marijuana remains illegal in a good number of states, CBD-based products are getting the green light in most places. With properties that can help with chronic pain, anxiety, depression, insomnia, and more, CBD is quickly becoming a go-to for a lot of people. 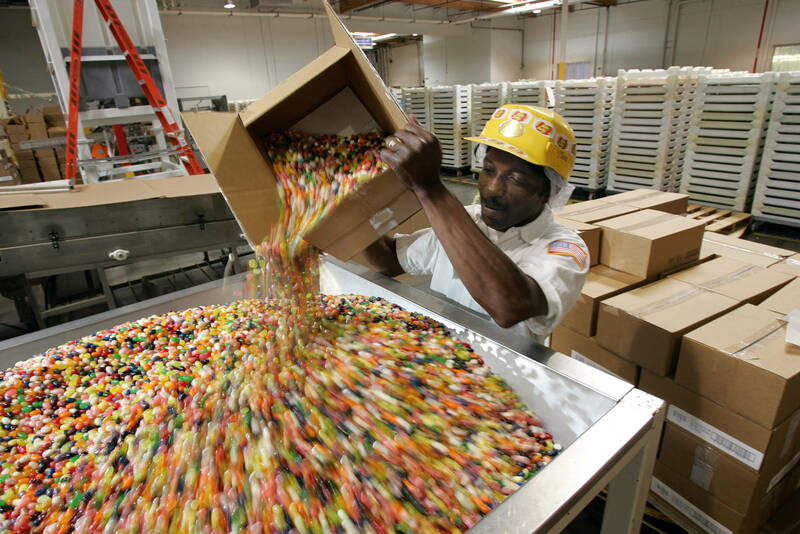 Now, the makers of Jelly Belly have officially taken notice and we will be able to ingest CBD by way of Spectrum Confections' new products, which have been developed by the founder of the candy company. According to CBS News, David Klein has announced a new company specializing in CBD-infused jelly beans. The new products will include "gourmet" beans, a sugar-free version, and sour jelly beans that contain 10mg of CBD per unit. Spectrum Confections notes that their candy will come covered in sugar or a similar powder for flavor purposes, writing that CBD doesn't necessarily taste very good. If you're unfamiliar with the effects of CBD, it is found in marijuana but is not the component that gets you high. Taking CBD by itself will give you no buzz but it will help you with tons of health concerns that you may be experiencing. Spectrum Confections has already sold out of their product but will soon be restocking.